Transfermarkt is in many ways the benchmark to financially evaluate players around the world. A massive database the German-based homepage tracks almost every league around the world continually updating and assigning transfer values to individual players. 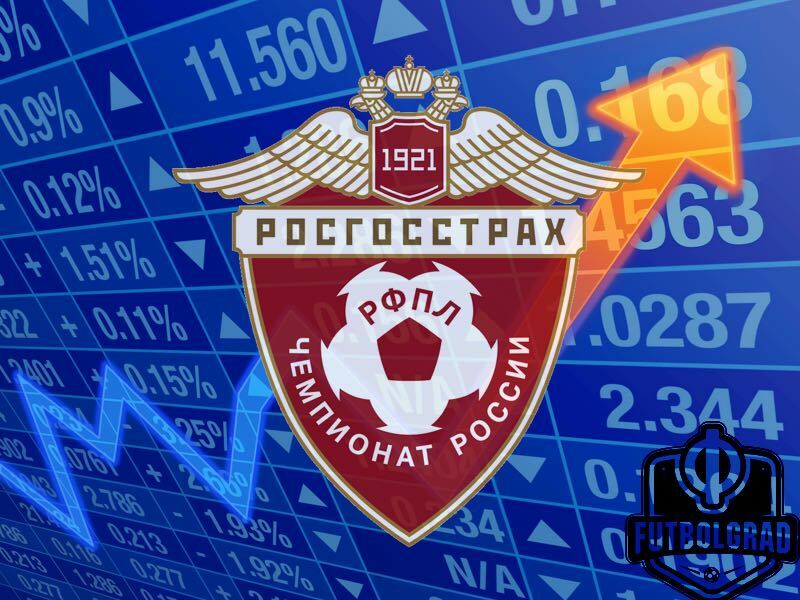 This week the Russian Football Premier League has seen a massive update, and the evaluation is encouraging for followers of the Russian game. This week 82 players were re-evaluated and of those 62 two had seen their value increase and 18 their value decrease. The recent re-evaluation shows that the Russian Football Premier League may have finally stopped the rot of understanding the overall value of players playing in the league diminish. There are reasons for the positive result of the Russian Football Premier League in the recent transfermart.de re-evaluation. 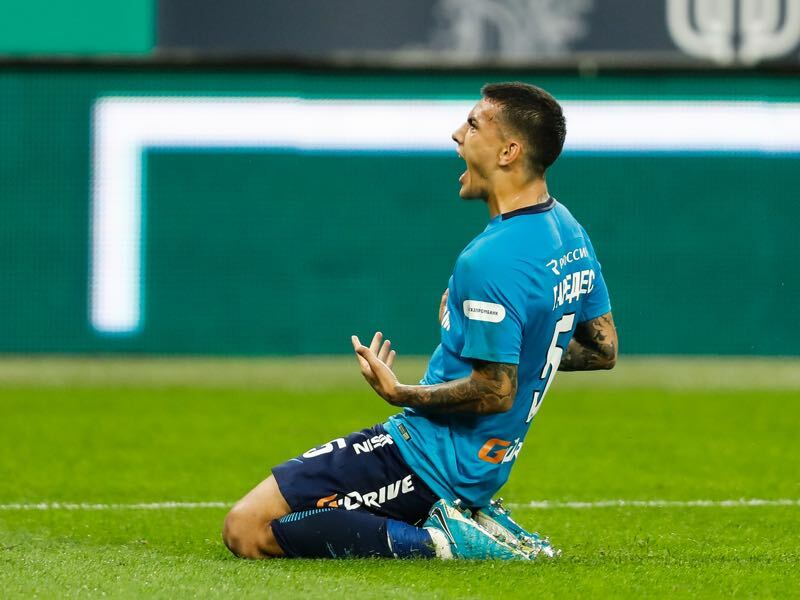 First and foremost Zenit Saint Petersburg have invested heavily in this summer’s transfer market signing Argentinian superstars Leandro Paredes, Sebastián Driussi, Emanuel Mammana, Matías Kranevitter and Emiliano Rigoni. Four out of the five Argentinians have seen their transfer value increase since signing for the club. Leandro Paredes has seen his value increase from €13 million to €18 million, making him the second most valuable player in the league behind Spartak’s Quincy Promes, who is worth €20 million. Driussi saw his market value surge from €8 million to €12 million, Kranevitter went from €6 million to €8 million and Mammana from €7 million to €8 million. Zenit’s Argentine contingent has not been the only players that saw their value increase. However, Aleksandr Kokorin, whose highest market value was €18 million in 2014, has finally stopped the decline of his value. Good form and 15 goals in 18 games this season has meant that his value has increased for the first time since 2014; from €5 million to €7.5 million. Kokorin’s value could be much higher if there would not be the doubt about whether the forward would ever leave his cushiony contract at Zenit. The 26-year-old striker had the chance to move abroad 18-months ago instead he chose to remain in Russia joining Zenit. Kokorin is, however, not the only Russian, who has seen his value increase. CSKA Moscow’s talented midfielder Aleksandr Golovin saw his value go up by 33.8% from €6 million to €8 million. 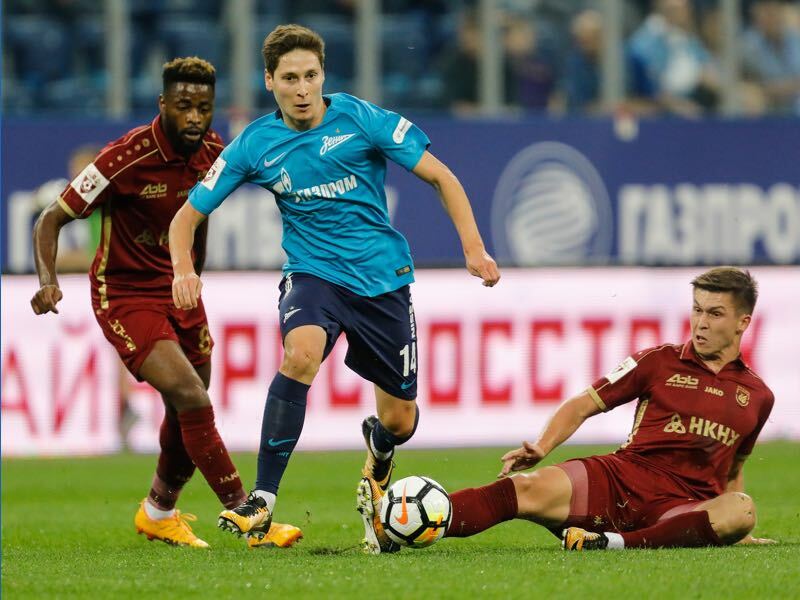 Good performances for CSKA Moscow in the Russian Football Premier League, the Champions League and a chance that Golovin may move abroad shortly have seen his stock price surge in this evaluation. The success of Golovin has, in fact, become a catalyst for CSKA’s restructuring build on young players. Golovin’s teammates 19-year-old Fedor Chalov, who went from €800,000 to €1.2 million, and 20-year-old Timur Zhamaletdinov, who went from €500,000 to €700,000, have also been awarded for their strong recent performances. Another big beneficiary of the Transfermarkt re-evaluation has been Aleksey Miranchuk. The attacking-midfielder saw his value increase from €6.5 million to €7.5 million. His increase in value is in direct correlation with Lokomotiv’s success this season. The Railwaymen have been resurgent in the table and are just two points behind Zenit in second place in the Russian Football Premier League. Interestingly enough some of that success has been due to the Anton Miranchuk, Aleksey’s twin brother, who has broken into the first team this season. Previously without an assigned value the Transfermarkt team have assigned him with a transfer value of just €250,000. Called up by Cherchesov to represent Russia against South Korea and Iran in the upcoming days Anton Miranchuk’s value will undoubtedly increase rapidly from here. Overall it has been a good re-evaluation for Russian players. The likes of Rubin Kazan talent Elmir Nabiullin, from €4 million to €5 million, Zenit keeper Andrey Lunev, from €3.5 million to €5 million, Ural midfielder Roman Emelyanov, from €3.5 million to €4 million and CSKA Moscow left-back Georgi Schennikov, from €3 million to €4 million, all received increases. But perhaps the player that stood out the most was Daler Kuzyaev. Kuzyaev has been a revelation in the Russian Football Premier League this season. Signed by Zenit from Akhmat Grozny, and almost forgotten amongst all the mega-transfers, the midfielder has been a critical player for Roberto Mancini this year. The 24-year-old, Russian-Tajik national, has received a call-up by Stanislav Cherchesov and now joins a Russian national team that seems to slowly but surely find the right mix of young and old players. There were, however, a few losers. One player, who has struggled the most under Zenit’s new strategy has been star striker Artem Dzyuba. The bulky forward used to be a mainstay in the starting eleven at Zenit. Mancini, however, seems to prefer the more mobile Kokorin and Driussi and as a result, Dzyuba has often found himself on the bench. His value decreased from €9 million to €8 million, and with Cherchesov looking at other options as well the 29-year-old forward could see his star declining even further. Kuzyaev’s story in general highlights the recent trend of the Russian Football Premier League. Transfer values are heading up, and many of the re-evaluations include young Russian players, who will be essential in Russia’s attempt to be competitive at the 2018 FIFA World Cup next summer.